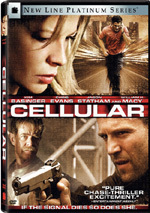 When tortured FBI agent Thomas Mackelway (Aaron Eckhart) is called in to investigate a series of strange murders, the trail leads to the enigmatic Benjamin O'Ryan (Academy Award winner Ben Kingsley in a spellbinding performance). Trained in a secret government program (enabling elite agents to telepathically get into the minds of killers), O'Ryan himself is hunting down what he has labeled the ultimate serial killer and manifestation of evil - SUSPECT ZERO. $3.446 million on 1500 screens. While most films about serial killers fall into the category of cheesy exploitation flicks, occasionally a great one emerges. 1995’s Se7en remains my pick for that decade’s best movie, and 1991’s The Silence of the Lambs merits its status as a modern classic. Even 2003’s Monster managed to give us a fairly involving look inside the mind of a murderer. And then there’s 2004’s Suspect Zero. Serial killers interest me, so I decided to give the DVD a look when I saw a promo for it. I’d never heard of it until early 2005, so I was stunned when I found out it ran theatrically in 2004. It got pretty wide release at that, as it played on about 1500 screens at its peak. It only earned $8 million, but I remain surprised that I never heard a peep about it. Maybe that wasn’t a bad thing, as Zero doesn’t qualify as a great or even a mediocre - serial killer movie. At its start, we meet creepy Benjamin O’Ryan (Ben Kingsley). He encounters middle-aged traveling salesman Harold Speck (Kevin Chamberlin) in a diner. O’Ryan shows him disturbing pictures and asks odd personal questions. He follows this with Harold’s murder for non-specified reasons. From there we get to know disgraced FBI Agent Thomas Mackelway (Aaron Eckhart). He gets demoted from Dallas to Albuquerque because he acted inappropriately on a case. When the authorities find Harold’s corpse in his abandoned car, Tom acts as part of the investigation. The Dallas office also sends Agent Fran Kulok (Carrie-Anne Moss) to participate, and this revives negativity between her and Tom; they were once a couple, but Tom’s problems ended that, and tension remains. As part of the investigation, they chat with workers at the diner where O’Ryan nabbed Harold, and this leads them to Ben’s abandoned car. They discover another corpse in its trunk so they go to Oklahoma City to look up the owner of the car, halfway house manager Daniel Dyson (dhsajdhask) - runs a halfway house. He tells them about O’Ryan and we learn of Ben’s obsession with “Suspect Zero”, a literally untraceable serial killer because he uses no pattern. That obsession forms much of the plot, as we watch O’Ryan’s efforts to find the “Suspect”. Along the way, we start to find out there’s a surprising agenda behind O’Ryan’s killings. In addition, Tom starts to find out about “remote viewing”, a psychic method of seeing the world, and he begins to learn of his own hidden powers. I admit it - promotional methods worked on me. As I mentioned, I saw the trailer for Suspect Zero on another Paramount DVD and became intrigued. I’ve always been fascinated by serial killers anyway, and Zero looked like it’d offer a clever take on the topic. So much for truth in advertising. Much of the movie smacks of “Trying Too Hard” Syndrome. The film packs in a great deal of obvious - and lame - symbolism in a vain attempt to come across as more substantial. This means dopey elements like O’Ryan’s name, a cheap pun on “Orion the Hunter”. Elements connected to eyes and vision permeate the film but add no depth. Instead, they feel tacked on and silly. These problems would be more forgivable if the story itself went anywhere. Unfortunately, Zero provides a dull, plodding story told in an awkward, slow-paced manner. Its really the flick’s blandness that kills it. Sure, it uses the stylistic conventions popularized in Se7en to lend some grit to its world, but the plot just tends to meander. It lacks inventiveness or suspense, so although it boasts an intriguing concept, it does little with the material. Some of the problems stem from the general denseness of the characters. They almost always remain about five steps behind the audience, and that’s not what we want from this kind of story. Other kinds of flicks benefit from this viewer foreknowledge; for example, slasher films get most of their scares from the tension that comes when we know a character will get offed but they remain clueless. Such information doesn’t work here. Instead, it makes the characters look stupid, so we have no respect for them. All of the signs seem so obvious - why can’t these law enforcement professionals pick up on them too? Amazingly, Eckhart’s dense take on Mackelway serves to intensify the cluelessness created by the script. Even when Tom does something clever, Eckhart’s leaden performance makes him look stupid. As played by Echkart, Tom couldn’t get a job as a pre-school crossing guard, much less as an FBI agent; he constantly comes across as the kind of guy with a “kick me” sign stuck to his back. Kingsley better conveys intelligence as O’Ryan, but that doesn’t make his performance much more satisfying. Kingsley tries way too hard to carry this clunker on his back, and he also seems to have watched Lambs a couple too many times. The actor develops all sorts of Hannibal Lector-esque mannerisms and affectations as O’Ryan, none of which allow him to develop a convincing portrayal. As for poor Moss, she gets the least developed character of the bunch. Really, Fran exists as a plot device, and an idiotic one at that. Why in the world would the powers-that-be at the FBI send Tom’s estranged ex-girlfriend to assist on the case? Because the plot dictates that he have some sort of semi-love interest, obviously. Moss has almost nothing to do; the role is so thin it barely exists. Zero comes as a real disappointment because it had some definite potential. The theme of an apparently “perfect” serial killer is decidedly intriguing, but unfortunately, Zero barely explores that topic. Instead, it gets into supernatural mumbo-jumbo with the whole remote viewing thing, and those kill it. The film too strongly leaves the real world, and this distracts from our ability to remain involved in the tale. Not that I think Suspect Zero would have been good anyway, as the story gets told in a terribly bland and unmemorable manner. It plods and drags as it keeps the audience way too far ahead of the characters. An ending that baldly rips off Se7en doesn’t help. An awkwardly-told and slowly-paced flick, Zero leaves me cold. Suspect Zero appears in an aspect ratio of approximately 1.85:1 on this single-sided, double-layered DVD; the image has been enhanced for 16X9 televisions. Like the movie itself, this transfer was a disappointment. Sharpness lacked consistency. While many shots demonstrated good definition, quite a few others came across as soft and fuzzy. The majority of the movie was acceptably distinctive and concise, but too many exceptions occurred. No issues with jagged edges occurred, but I saw a little shimmering, and some mild to moderate edge enhancement also popped up through the film. Source flaws were surprisingly heavy for a brand-new movie. Many of the concerns came from grain, some of which was clearly intentional. Flashbacks and “remote viewing” scenes used heavy grain for stylistic purposes. However, plenty of other scenes were grainy in a sloppy way, and other defects occurred as well. I saw periodic examples of specks, marks, streaks and grit. These weren’t overwhelming, but they seemed too extensive for a modern flick. For the most part, Zero went with a subdued but natural palette. It tended toward sepia in flashbacks and a red tint for “remote viewing”, but otherwise the colors stayed within the realm of reality. They seemed decent, though the production design made them subdued. Blacks tended to be somewhat flat and inky, and shadows were somewhat thick and tough to discern. Enough good shots occurred to make this flick watchable, but it didn’t merit anything above a decidedly mediocre “C” for picture. “Creepy ambience” best describes the goals of the film’s Dolby Digital 5.1 soundtrack. Suspect Zero didn’t involve a power-packed soundfield, but it worked for the flick’s intentions. “Remote viewing” and similar sequences brought out good use of all five speakers to create an involving atmosphere. Other scenes featured nice movement and panning of environmental elements, and a few louder bits kicked things into gear fairly well. Music also showed strong stereo imaging that blended neatly with the surrounds. Actually, Zero used those elements in an unusually active manner. The score swooped all around to accentuate the spookiness. This wasn’t a killer soundfield, but it added life to the proceedings. Audio quality was positive. Except for a little edginess to a few louder lines, speech remained natural and concise. Music demonstrated fine dynamics and definition, as the eerie and occasionally percussive score presented a positive impact. Effects were tight and accurate, and they packed a decent punch when useful. Bass response consistently was firm and warm. Overall, this came across as a good little soundtrack. Matters rarely improve from there. Merhige talks about his movie as though he came up with a cure for cancer. I can’t recall another commentary in which a participant chats about his work in such hushed, portentous tones. And that’s basic all that Merhige does: he mostly just describes what we see. Occasionally Mehige talks about thematic issues, camerawork, the movie’s visuals, and the “reality” of remote viewing. However, those moments appear infrequently, and the commentary usually comes across as a narrated version of the flick. Add to that a lot of dead air and this commentary turns into a real waste of time. Next comes a four-part featurette called What We See When We Close Our Eyes. Viewed via the “Play All” option, this program lasts a total of 30 minutes and 56 seconds. It mixes movie clips, archival elements, and interviews with Merhige, Institute of Noetic Sciences senior scientist Dr. Dean Radin, US Army Major (Ret.) Paul H. Smith, Taoist master and physician Dr. Baolin Wu, Stanford Research Institute Cognitive Sciences Program co-founder Russell Targ, SRI Cognitive Sciences Program visiting scientist (1988-89) Dr. Jessica Utts, and actors Aaron Eckhart, Ben Kingsley, and Carrie-Anne Moss. This program discusses psychic phenomena, the concept of remote viewing and connected activities, use of those techniques, and the idea of non-locality and what it means to remote viewing and other psychic topics. Obviously, the focus of the piece means we don’t learn anything about the making of Zero itself. I can’t say I buy its validity, and it’d be nice to hear from someone on the skeptical side of the fence, as everyone here clearly drinks the Kool-Aid. Nonetheless, it gives us an intriguing glimpse of remote viewing and related subjects. In the 10-minute and 39-second Remote Viewing Demonstration, we see Paul Smith as he tries to teach Merhige how to remote view. Merhige narrates the piece as we watch him go through a session. Again, I don’t know how much of this I believe, but it’s kind of creepy and stimulating. Although we don’t get a collection of deleted scenes, we do find an Alternate Ending. I n this 59-second clip, we see the movie come fill circle in a way, as it consciously echoes the flick’s opening scene. This would have been an intriguing way to end the story, though it’d obviously leave things open for a sequel. 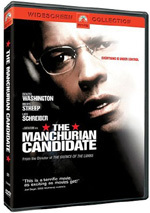 We can watch this with or without commentary from director Merhige. He discusses the segment and why he gave it the boot. An Internet Trailer for Zero appears, and also the DVD opens with some ads. We get clips for Alfie, Coach Carter, Enduring Love and The Machinist. At least one Easter egg pops up here. Go to the “Special Features” page and highlight “Main Menu”. Click to the left to activate an icon and press “enter”. This lets you see a four-minute and 59-second featurette with Dr. Baolin Wu and Merhige. They discuss Taoist methods and tell you how to open your “third eye”. As usual for Paramount DVDs, most of the extras come with subtitles. We can follow the supplements in English, French and Spanish. Despite a potentially fascinating topic, Suspect Zero does little to create an entertaining movie. Poorly told and generally moronic, the movie suffers from a surfeit of flaws and rarely brushes against its myriad of intriguing possibilities. The DVD presents surprisingly mediocre picture quality, but the audio sounds quite good, and we get a generally decent set of extras, though the commentary is truly terrible. 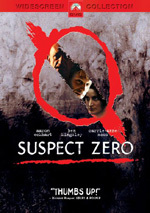 Mostly due to the poor quality of the flick, I can’t recommend Suspect Zero.